In the last 6 years, with pro-life leadership at the helm, Ohio has witnessed a whopping 25% reduction in abortions! 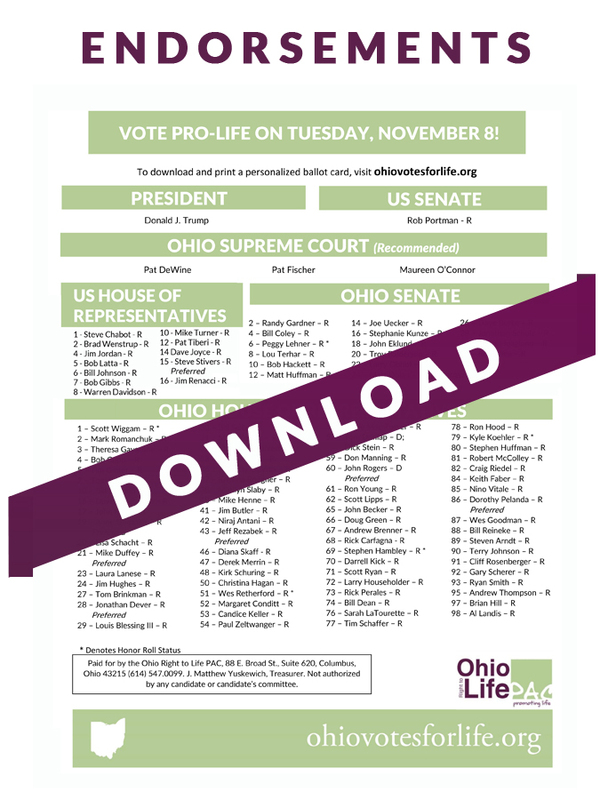 Our pro-life leaders have enacted 17 pro-life laws, including our Late-term Abortion Ban and the de-funding of Planned Parenthood, and HALF of Ohio’s abortion facilities have closed or curtailed their abortion services. We know that voting pro-life has life-saving consequences, and we MUST ensure that we continue this trend, not only here in Ohio, but across the country. Tragically, across the United States, over 1 million children continue to be aborted each year. According to the Guttmacher Institute, Planned Parenthood’s research arm, 1.06 million abortions occurred in the United States in 2011. We know that Hillary Clinton’s pro-abortion agenda will be an aggressive, radical expansion of Barack Obama’s policies over the last 8 years. We simply CANNOT give another 4 years to a pro-abortion President. 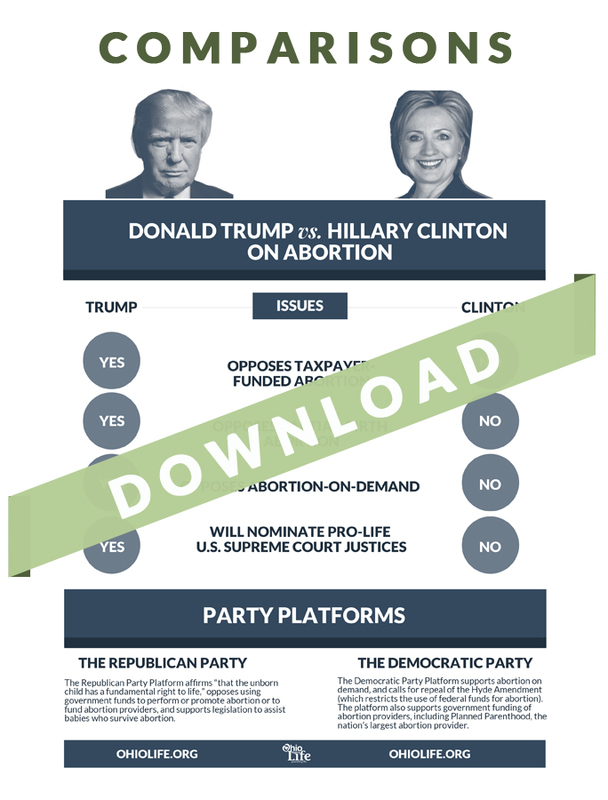 Join us in voting for Donald J. Trump and the rest of our pro-life candidates tomorrow, November 8! Donald Trump has made multiple promises to the pro-life movement, including the nomination of pro-life Supreme Court Justices AND the de-funding of Planned Parenthood on a national level. Hillary Clinton has promised the OPPOSITE. She has promised to nominate pro-abortion justices and to REPEAL the Hyde amendment, forcing pro-lifers like us to DIRECTLY PAY for abortions up until the moment of birth! Every one of these promises should disqualify ANY candidate from our consideration. 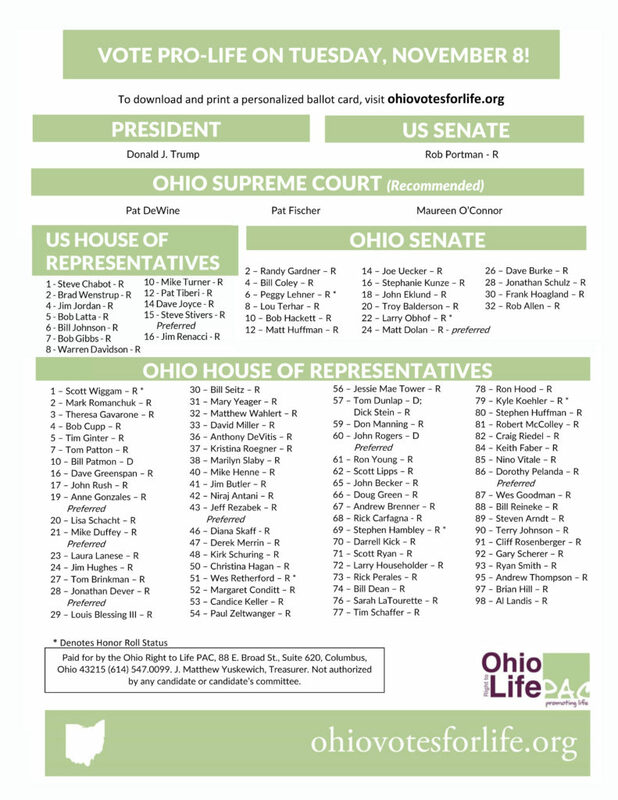 TAKE ACTION >>> FORWARD this email to 3 pro-life friends to ensure we get pro-life candidates in the hands of pro-life voters! Click here to read email in web browser. P.S. 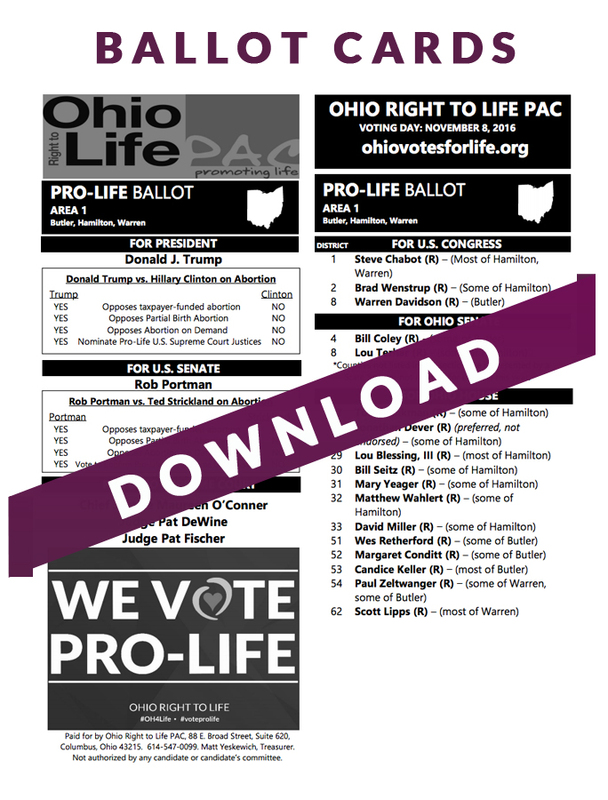 If you or a pro-life friend is still undecided about voting this election, we encourage you to read this article from The National Catholic Register (2012) and this article from The Christian Review (2016). Both give thoughtful consideration to the Christian conscience and voting. This entry was posted in Abortion Giant and tagged 17 pro-life laws. Bookmark the permalink. What is Natural Family Planning? Vote on 5-month abortion ban scheduled!